“In the morning he was getting ready to go school, and by evening he could barely walk without support and his eyes were swollen. We didn’t know what was happening to him. We panicked and took him to the doctor, but our son couldn’t even swallow the medicines he was given. He couldn’t drink a sip of water. 3 days later, he was in the ICU critical and completely paralysed." 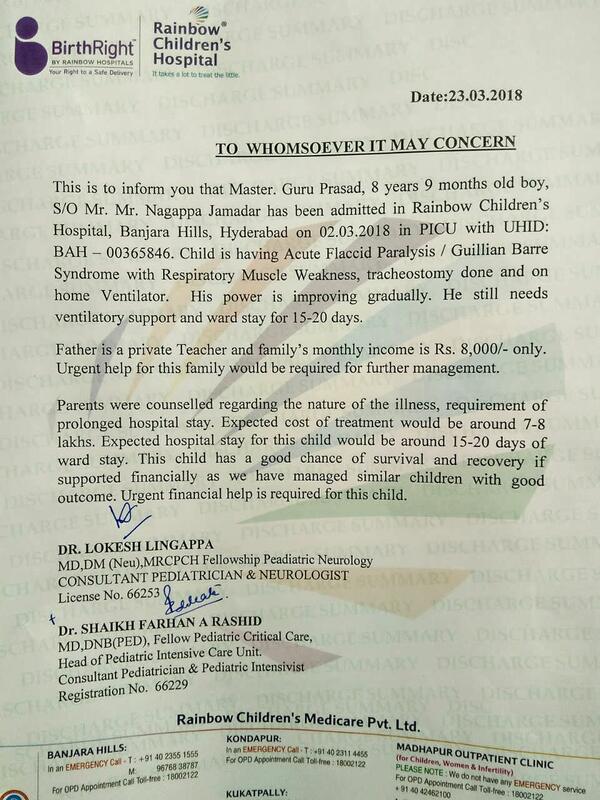 Just a week ago, Guru Prasad (8) was active and healthy. Now, he’s fighting a rare and severe disorder that has left him lying helpless and in extreme pain, unable to move a single muscle in his body. Guru can’t even breathe on his own anymore. 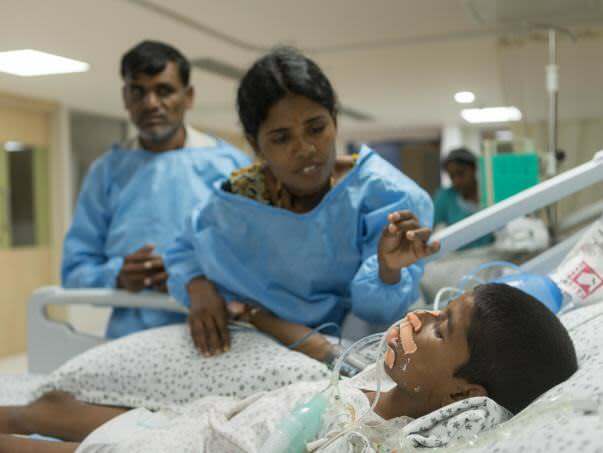 He needs to stay on ventilator support and get ICU care for at least a month to survive. 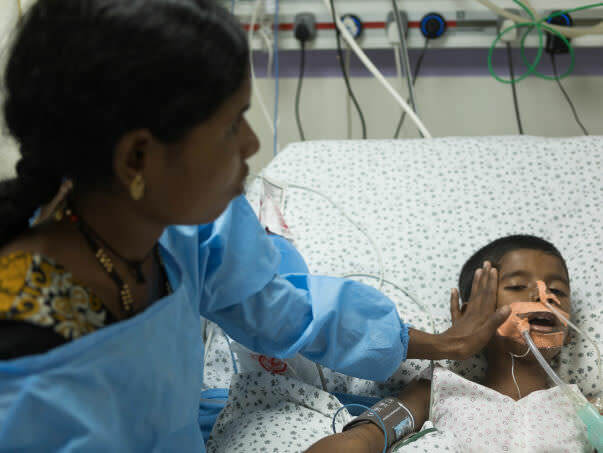 Savitha and Nagappa are desperately trying to save their son, but their hands are tied. 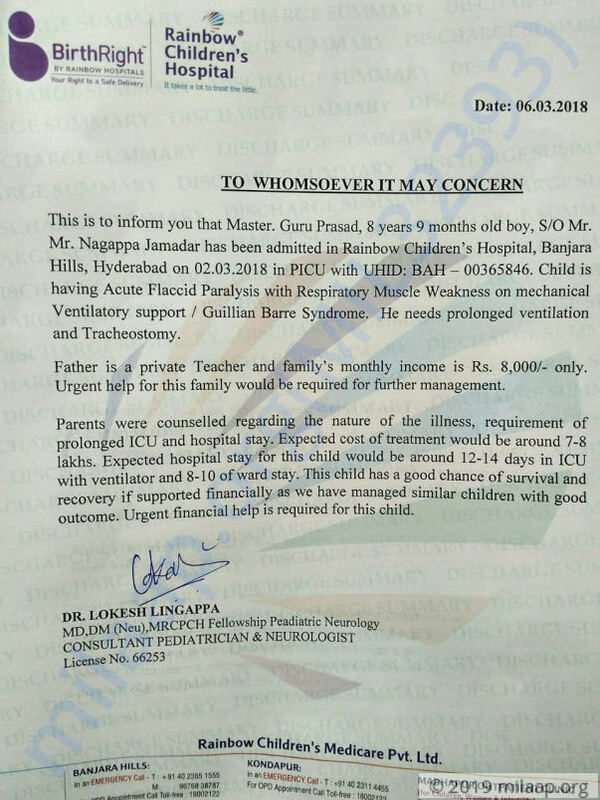 Guru Prasad has been diagnosed with Guillain Barre Syndrome, a condition in which the immune system attacks the nerves causing a rapid onset of muscle weakness. Guru is still in excruciating pain, but he can’t shout out or cry in pain. Guru can’t move his hands or legs. He’s given food and medications through a tube. 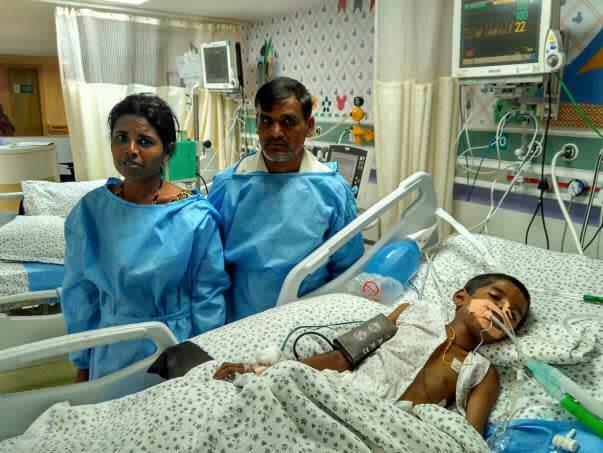 He’s now on ventilator support, the only thing that’s keeping him and the hope in his parents’ hearts alive. It’s crucial for Guru to stay in the ICU for longer till he can breathe on his own again. 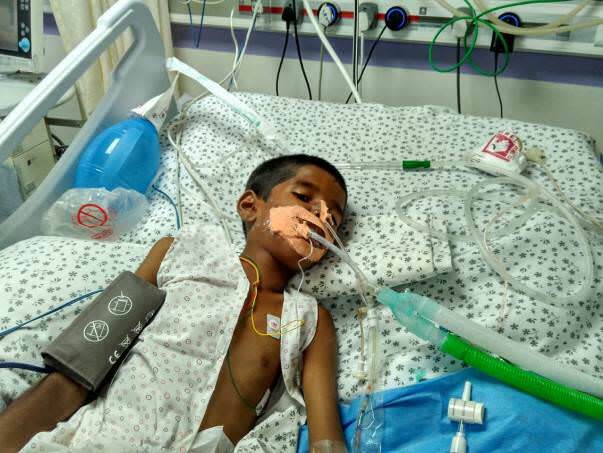 The doctors are positive about his survival and recovery, but his parents have nothing left to continue his treatment for another month. The only thing standing in his way right now is his family’s financial condition. 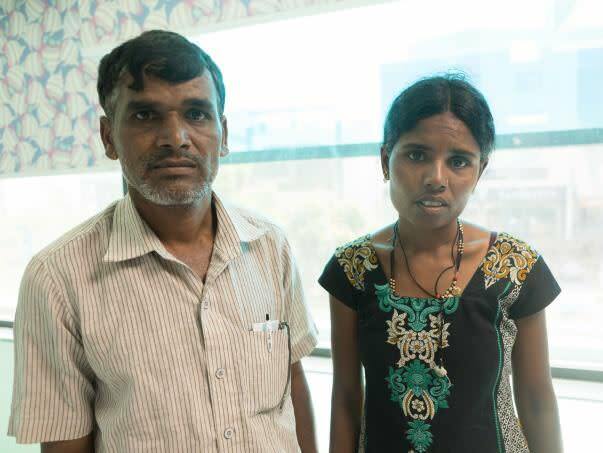 Savitha and Nagappa are devastated beyond words. The daily medical expenses for Guru’s treatment far exceed what they’ll ever be able to make in a month. Guru is only 8-years-old and has his entire life ahead of him. With timely treatment and continued ICU care, he can make it. He needs your support to get the life-saving treatment he needs. Your support can save Guru’s life. We would like to inform you that Guru is recovering slowly and has been discharged from the hospital. He is on medication and has to be brought for continuous follow-ups. We are hopeful for his complete recovery and we will keep you posted on his progress further. It gives me immense pleasure in informing you all that Master guruprasad is better now, breathing comfortably after tracheostomy closure. He is accepting well orally. His power in all four limbs is improving gradually. There is no pain in limbs now. Thank you for the wonderful love and support that you have shown towards Guru Prasad. he is doing better now compared to earlier. His movements are gradually improving. 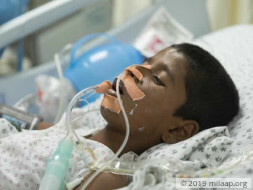 There is a mild improvement in his breathing efforts, though he is still requiring ventilator support. He is on nasogastric tube feeds to support him at present. Thank you for the wonderful support. Please do pray for his health and speedy recovery. Will keep you posted.